The "Red Gas Man" as I call him (he works for Morisson Utilities and has a red uniform, hence his name) has just knocked to say he can't do our gas meter today (as part of the Gas mains renewal work that is taking place) as the Council have served an order which prevents him digging up any more of the road. That's meant a re-plan of the work and he won't be back on our road for a couple of weeks. 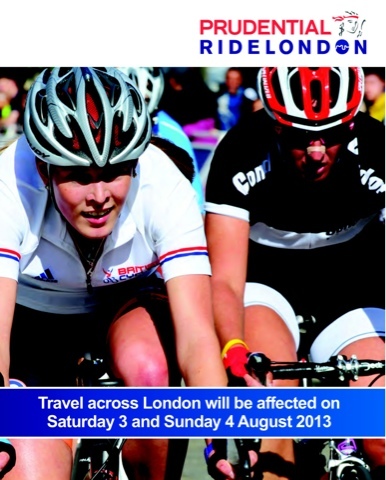 It's all because of the Prudential Ride London, which is taking place this weekend. It doesn't look as if we'll get any of the cyclists, but for whatever reason we won't know what's happening with our gas meter for a couple of weeks now, that's not a problem but it would have been nice to get all the work done at the same time. Hey Ho! 1) a stand-in kitchen fitter to plumb us in, so we should have water in the kitchen later today. That'll be good and quite a novelty as we've been water-less for most of July! Typically, today is the day it decides to rain too! 2) the glass splash back man who is coming to template now that the work tops are in. It's a big decision day too as we have to decide the colour of the splash back. The base units of the kitchen are "champagne" which I'd describe as "nicer than sparkly khaki", the wall units are cream and the work tops are sparkly black quartz. We're opting to colour match to either Farrow & Ball's Teresa's Green or their Green Blue. They're next to each other on the colour chart and as you'd expect one is a shade lighter than the other. Decisions, decisions!